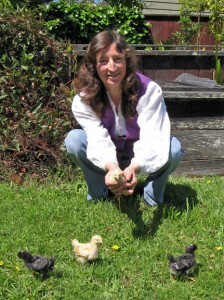 I am a counselor, nurse, and hypnotherapist in private practice in Berkeley, California, and I have been a war tax resister for nearly 40 years. With tax time fast approaching, I thought my story might be food for thought. Any nation needs three things in order to wage war: young men and women to join the military, billions of dollars to finance a war, and a compliant and complicit public. Those of us who oppose war can take action in any or all of these three arenas. Refusing to pay taxes for war can be an important part of an overall strategy to end war, and I have tried to do my small part to obstruct wars by trying not to pay for them. As many war tax resisters have discovered, this is easier said than done. I refuse to pay any federal income tax, because I know that 50% of every dollar I send to the IRS will go to the military. Each year I do my taxes and send my completed tax forms to the IRS with a letter explaining why I refuse to pay for war, usually itemizing all the countries we are waging war on that particular year. In the past ten years, the IRS has escalated its efforts to collect taxes from me, putting a levy on my bank accounts nearly every year, and adding more penalties and late fees. A few years ago, they sent me a letter claiming I had filed a “frivolous tax return,” because, as always, I filed my taxes and attached a letter saying why I was refusing to pay taxes. The IRS threatened to charge me a $5,000 fine for this “crime.” Luckily, after a consultation with NWTRCC’s legal advisor, I sent a letter to the IRS which resulted in the threat being dropped. I wrote two books as an adjunct of my counseling work, Love in Abundance in 2010 and The Jealousy Workbook in 2013, and both books were published by Greenery Press. As soon as the second book came out, I started to receive angry phone calls and letters from the publisher, because the IRS had contacted them and demanded that they send my royalty checks to them instead of to me. This was similar to a wage garnishment, except that the IRS can take the total amount of my royalties, which they have done for the past two years. My publisher has been pressuring me to pay the taxes because they don’t want to deal with the IRS. When this started, I was in the middle of writing my third book, but now Greenery Press has decided not to publish the book. They won’t say the IRS is the reason, but I am making an educated guess that there has been a cause and effect relationship. Ironically, I currently owe the IRS over $20,000 in taxes, and my royalties are less than $2,000 a year. The IRS could get the full amount much faster through their previous strategy of putting a lien on my bank accounts since they know that the full amount is sitting there. It is obviously an attempt by the IRS to punish me by disrupting my relationship with my publisher. Unfortunately, so far they are succeeding in making it more difficult for me to continue getting my books published. Many people have noted the apparent futility of doing war tax resistance since the IRS often gets their money in the end. Friends ask “Since they eventually collect on you anyway, why don’t you just pay them?” My answer is that I am psychologically incapable of writing a check to the IRS when I know it will be spent to kill, maim, and torture people around the world. I just can’t bring myself to do it. All I can do is withhold it as long as possible. I won’t give it to them willingly. If more people refused to pay taxes, my tiny acts of resistance might have more impact.